The restrictions have been imposed in Nowhatta, M R Gunj and Safa Kadal areas in old Srinagar. Srinagar: Authorities imposed partial restrictions in Srinagar on Friday to prevent separatist-called anti-US protests, police said. Separatist leaders including Syed Ali Geelani, Mirwaiz Umer Farooq and Muhammad Yasin Malik have called for post-Friday prayer protests against US President Donald Trump's decision to recognise Jerusalem as the capital of Israel. 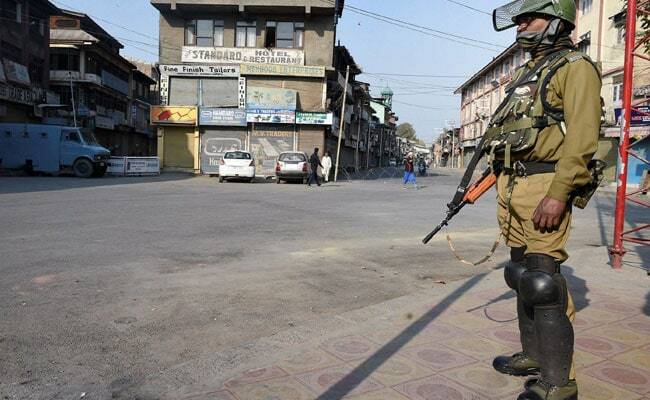 The restrictions have been imposed in Nowhatta, M R Gunj and Safa Kadal areas in old Srinagar, the police said.